Why Do We Offer A Pay As You Go Answering Service? Contracts can keep you locked into one company for years, we don’t think that’s very cool. Sometimes when you unexpectedly need to cancel or put your service on pause and that can lead to pesky fees. We offer no start up fee and no cancellation fee, with BaseTend you only pay what you use, and our receptions try to keep it as short as possible for you! Simply let us know when you no longer need us. We don’t think we need those silly fees and contracts, we think our work speaks for itself, and you should only pay for what you use! You might see the benefits with a pay as you go answering service already, but i have a lot more to tell you, so settle in! We are a pay as you go answering service so here is a few ways we help you save money. Our receptionist are trained ahead of time how to use your appointment booking software, therefore booking appointments is quick and easy for the receptionist as well as the clients who call in. You don’t need appointments? Well great that saves even more time! When our receptionist take messages for you our program automatically opens so they don’t need to do any additional work aside from getting your clients name, number, and message! Let me tell you a bit more. Our going rate is $1.50 per minute that we are on the phone with your clients, we think that is an awesome rate for a pay as you go answering service. We are also offering a free 14 day trial! Once again, no commitment, so if you’re not happy with our services, no need to continue after your 14 day trial! Doesn’t our no cancellation fees come in handy now? 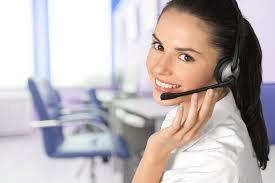 Why not try our answering service, completely risk free! We don’t believe in being swamped in fees or contracts, It doesn’t make sense to us. This is why we offer a pay as you go answering service, why pay for something if its not being used to its potential. We like to keep it simple. What do you think about our pay as you go answering service? We think you’ll love what we have to offer. Let me give you a little recap of what we talked about! We are a pay as you go answering service, we answer you calls, take your messages, book your appointments, and we can also send out reminders for appointments! We offer no fees and no contracts. We think our work speaks for itself, so why not try our free trial, what do you have to lose? Feel free to contact us after you’ve ready this post with any and all questions! We are here to help, and by calling you will get a feel of our amazing customer service we have to offer. Our receptionists and our sales team is here to help, and wont pressure you into anything you don’t want or aren’t interested in! We hope to hear from you soon!